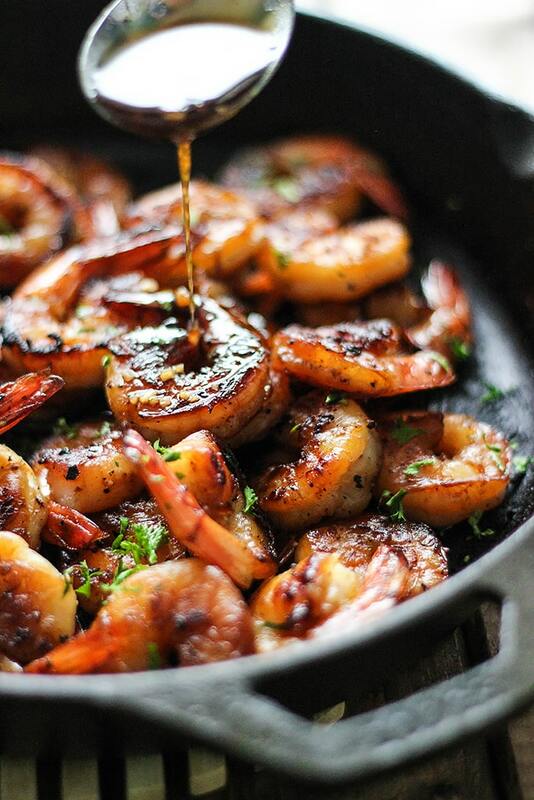 Try out this quick and easy 5 ingredient recipe for honey garlic shrimp skillet. Ready for the table in just 20 minutes with a combination flavor of savory and light sweetness! Pair it with some veggies or on a bed of rice or pasta/noodles. 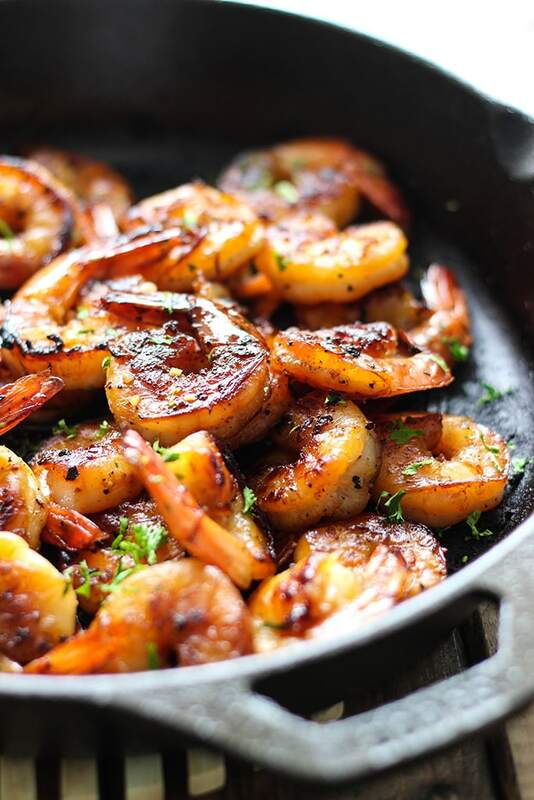 So here we have a super simple recipe for honey garlic shrimp skillet. It’s yummy, it’s healthy and really easy to make. With a flavor combination of savory and sweet and a slightly smoky aftertaste (depending on how much rubbing you did on the burned on bits), it pairs well with most veggies as a side or on a bed of pasta, noodles or rice. When I say super easy, I mean 5 ingredient easy and less than 15 minutes cooking time easy. Shrimp cooks so quickly, it’s such a great fast fix for any meal of the day. I used jumbo peeled shrimp with tail on for these. They just tend to look better in pics but you can use whatever kind of shrimp you like or can easily get your hands on. Start making your honey garlic sauce which is basically just some honey, soy sauce, ginger and garlic. I wasn’t lying when I said simple. Make the sauce and divide it into half. Half for the marinade and half for the drizzle. While the ingredients are simple, the fun is in the execution. I said shrimp cooks quickly so you’ll want to get your pan nice and hot before cooking so they have a gorgeous sear. The honey will caramelize a little and stuff will get stuck to the bottom of the pan. Use some tongs to gently rub the shrimp on the stuck on bits to get it nice and blackened. Here’s where you get the smoky aftertaste. One minute per side and your shrimp is cooked! I did this in two batches. Then remove the pan from heat and you’re ready to serve these babies drizzled with the leftover sauce. And that’s it! Happy cooking! PS: Love noodles? Try pairing this over a bed of hibachi noodles. I tried this once and it was great! For even more flavor, try adding in some red pepper flakes for heat or fresh lime juice for zest! 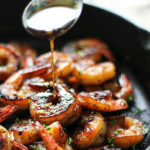 If you like cilantro, lime and red pepper flakes, try out this variation of cilantro lime honey garlic shrimp skillet! This recipe sears better in a cast iron pan and may not perform as well with caramelized bits in non-stick pans. Don’t forget to remove the vein from the shrimp (or just buy already deveined–which will already have the shell removed). Yup yup! I’m lucky that the skin off shrimp already comes deveined cause it sure isn’t a fun thing to do! Shrimp don’t have skin; they have shells!!! Exoskeletons, to be accurate. BTW, recipe was super simple but it was lackluster…..maybe needs some chiles or hot sauce. Tasty tho’ not “write home about”!!! You know what, I already knew that! But I’m so used to saying ‘boneless, skinless chicken breasts’ in other recipes, the skin part kinda snuck in there. Whoops! Didn’t even notice. Fixed it! Also, you can always add some red pepper flakes or lime/lemon juice to bring up the flavor a notch. Adding red pepper flakes and lime juice was an awesome idea. Thanks!!!! It was delicious! Thank you for the wonderful recipe!! I made 3 pounds of it, last for awhile!! I also added oil to it as well. This comment is for DORI, you are rude. If you don’t like a recipe, there isn’t a need to comment on it. People do have feelings. I found the comment helpful! If I were to make this recipe, I’d probably follow Dori’s suggestion and add some heat. I agree – rude and condescending! This is a place to share basic recipes and you can tailor them how you please. If you don’t like something, just chalk it up and keep moving. People are so mean nowadays. Anywho…moving on to find more recipes ? I agreed! Some people I read on other recipes were mean and very rude. Thank you, I agree. If you don’t like it try to use your imagination (if you have one) and add what flavors that you like. This is a simple recipe that’s just screaming for your own additions when you don’t want simple, quick and tasteful. An option to kick up the flavor. The flavors in this shrimp were spot on. I added 1/4 teaspoon crushed pepper to the marinade for a little spice. Even my picky eaters loved it! Thanks for an excellent and easy recipe. Just tried this recipe with a very small amount of red pepper flakes…delicious! Thank you! What did you serve as a side dish? Any kind of your favorite veggies should work. A salad, zucchini, asparagus. I’ve also made it to go tossed on some hibachi noodles this year. Sometimes I buy the shrimps devenied in the shell. I then remove the shell and use the shell to make fish stock, to use in other recipes. que receita maravilhosa, e vou fazer, ja esta na minha lista. assim que fizer comento com voces. Olá! Isso foi muito divertido usando o Google Translate para ver o que você disse. Aproveite a receita e obrigado! Hi Farah! These are making my mouth water! I have been on a shrimp kick lately – barbecued Cajun shrimp, shrimp and grits, peel and eats, you name it! My next trip to the store I’m getting more shrimp and these beauties are going to make my tummy very happy! Let me know how you like it, Dorothy! I’m more partial to battered and fried shrimp but the sauce in this one is too good to pass! I’m going to try this recipe we can always add bits of cooked thick bacon??? Good luck, Steve! Hoping you enjoy it! Good idea. Everything is even better with bacon. Something tells me this would work really well with pineapple on a skewer, on hot grill. What do you think? I think it will do GREAT grilled with pineapples. Have fun cooking out, Mr. Grill Man! I love shrimp! These look great! I’m a fan of sweet and salty. Try it out! 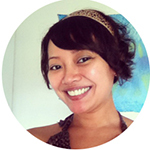 And thanks, Thao! This is wonderful! Made it with some coconut lime rice on the side and we love it! So simple, quick and tasty. Can’t wait to make it again! Thank you. Coconut lime rice, oh wow. That sounds amazing! And I bet it went so well with the shrimp. Thanks for trying it out, Kelly! Any other suggestions for sides that go well with this recipe? I’m planning on trying it this week. Thanks! Some greens would be nice! 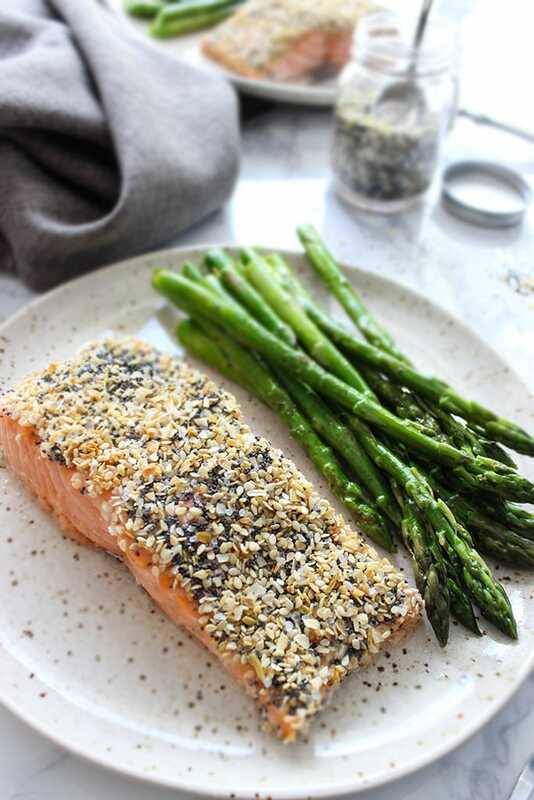 Maybe a stir-fry asparagus with garlic and lemon pepper? Or sauteed green beans or zucchini? I always pair my proteins with at least one veggie side to balance it out. 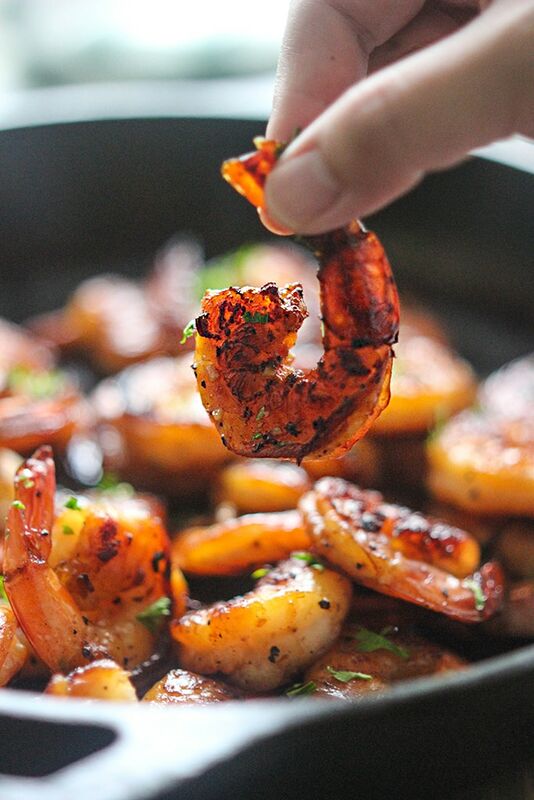 Good luck with the recipe and don’t forget to rub in the shrimp for that charred look!! Can ginger be omitted or replaced with another spice? We don’t care for ginger. You can leave out the ginger. It won’t break the dish if you’re not fans of it anyway. Good luck, Ann! Thank you! I was scrolling for ideas of what in the side, how do you make coconut lime rice? Just add coconut milk and lime juice? Thanks in advance! Have fun with the series, Trish! Farah! This is drool-worthy… and so easy! Great recipe and gorgeous photos! Thanks so much, Alison! Gotta love easy recipes! What a delicious and easy way to cook up shrimp! That honey and garlic sticky sauce is making this recipe VERY tempting. These look irresistible! Simple, as you said and gorgeous, caramelised colour. Thank you, great recipe. Most welcome, Di! Your Easter egg cups are adorable! Hi. I see some green leaves on the shrimps. What is it? No oil for this food? That’s just a garnish I put on. Parsley! And yes, use about two tablespoons of oil for the searing. Add more as needed, just enough to sear the bottom of the shrimp before you flip it. I like to use vegetable oil. Hope this helps! 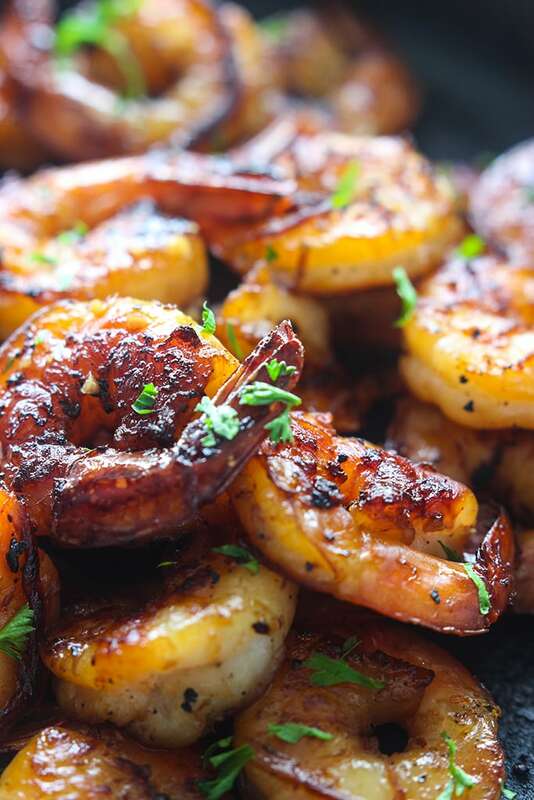 Do you cook the shrimp in the other half of the marinade? It’s not specifically mentioned to add the other half to the pan that I can see. Heya Rachael! You divide the sauce into half. Half goes to marinade and the other half is drizzled over the shrimp once it’s cooked and out of the pan. Hope this clears things up! Thanks so much, Will! Keep on cooking in the kitchen! So I am stuck in the house and have everything but ginger. Should I bag this or try it without ginger? Ginger helps make it but it definitely doesn’t break it. It should be fine! It’ll just lack one layer of flavor from ginger. Tried this tonight. It was a big hit! Thank you for the recipe! That’s great news! Thanks for trying it out, KP! hi.. may i know the kind of soy sauce you used for this recipe?there are diferent kinds in the market,i dont know which ones to use. thanks..
Amazing! I used half the soy sauce and added lime to cut sweetness and it was amazing…kids to husband loved it! Paired with garlic pesto angel hair pasta and salad. Next time might add some jalapeño or red pepper flakes to marinade for some heat! 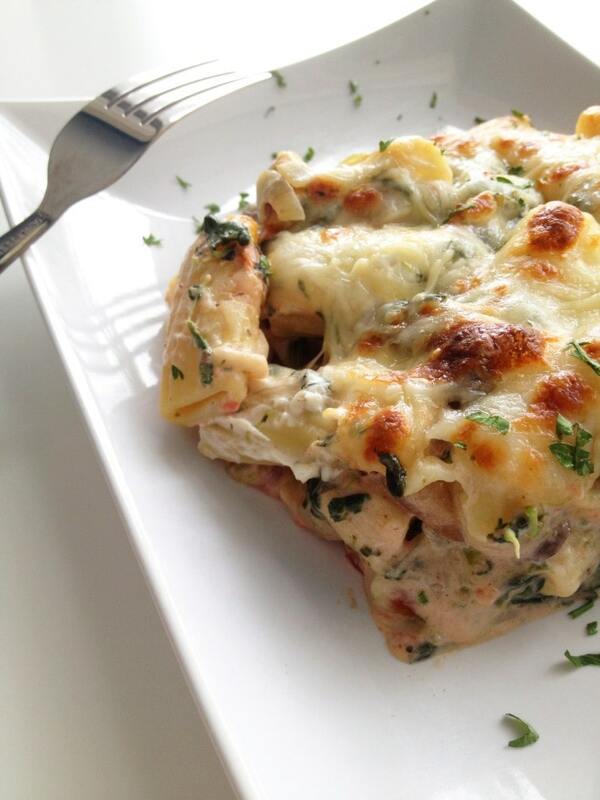 Awesome recipe… Can’t go wrong will need to double recipe next time. BTW I am by no means a cool but this made look like I was! Thanks! Lime juice is awesome with this flavor combo, Dawn. Yummy! I love mixing salt, sweet and tangy into one combined flavor. Red pepper flakes would be my choice to spice it up some. And I’m happy you got to feel like a pro in the kitchen. Every home cook deserves it! Do you use fresh ginger/garlic or ginger/garlic powder? Recipe looks great! Heya Sara. Yup, I always use fresh ginger and garlic unless I specifically mention them in powder form. Good luck cooking! Could I use powdered ginger instead? If so, how much? I’ve never tried powdered ginger before but yes, you could sub that. Just use very little and taste test to your liking as you go. I’m assuming the potency of powdered is much more than fresh ginger so start with 1/8 a teaspoon first and see how that works for you. I always use powdered ginger, 1/2 teaspoon. Just found your site via Yummly. 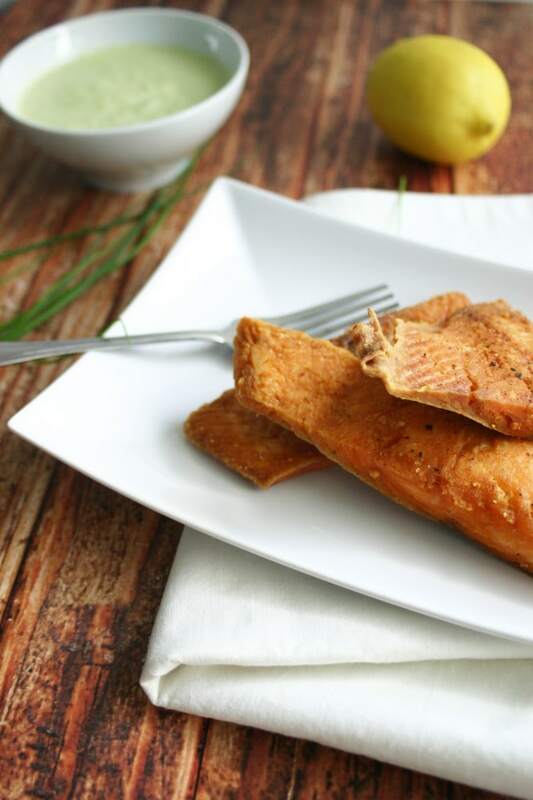 What a gorgeous recipe – not to mention easy and healthy! Sharing with my audience! Thanks so much, Dena. It was super yummy for so little ingredients!